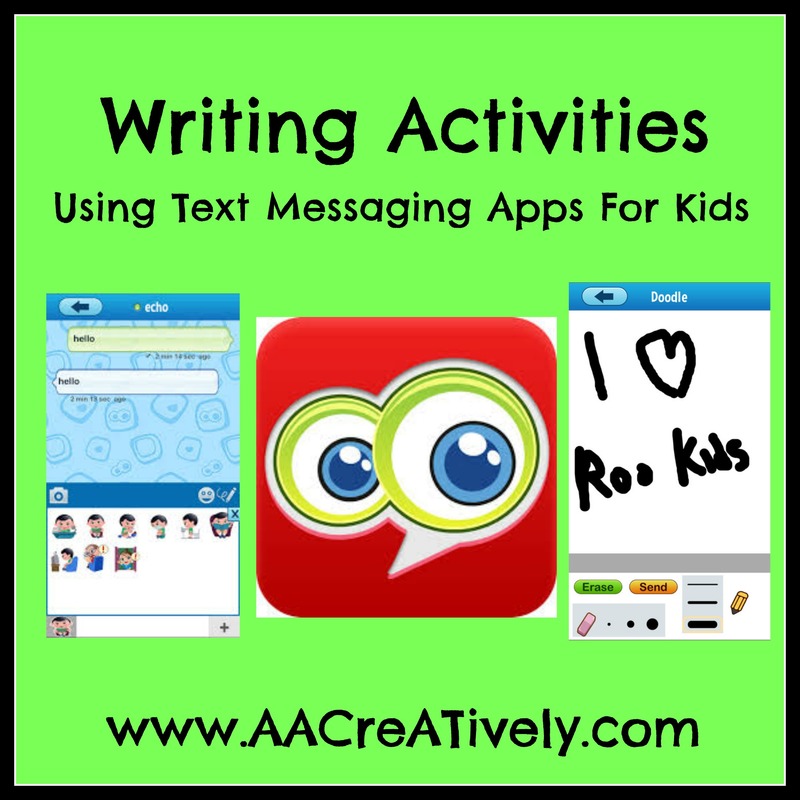 An important rule in implementing comprehensive literacy instruction is that children need to be presented with multiple opportunities to write for multiple purposes (click here to read a great post from Caroline on the 3 T’s of Writing). When I reflect on my own day, I can include communication through text message and social media as two of my main forms of written expression. 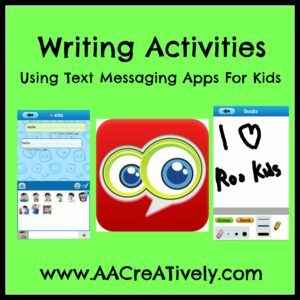 I made a Facebook Status Writing Activity a few months ago, and wanted to explore text messaging apps for kids next. I downloaded Roo Kids and PlayKids Talk, but will only be sharing information about Roo Kids, due to the security features of PlayKids Talk preventing Amanda and I from trying it (PlayKids Talk uses a photo of the user’s parent to determine if they are old enough to use the app and apparently Amanda does not pass for over 21).